What do you think? Click here to comment. 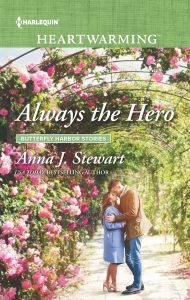 My friend, the uber-talented Anna J. Stewart, has a new book out, which is cause for celebration! It’s the latest in her wonderful Butterfly Harbor series. And check out the gorgeous cover! Click here to learn more about Always the Hero, and how you can get your hands on a copy. A new book from Loretta Chase! And it’s a delight! 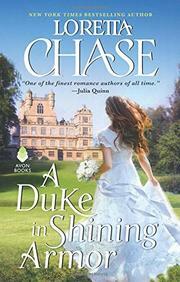 Have you read A Duke in Shining Armor yet? Beautifully written and so much fun — just what you’d expect from the marvelous Ms. Chase. If you haven’t yet read it, may I tempt you with the prologue and Chapter 1? Click here! 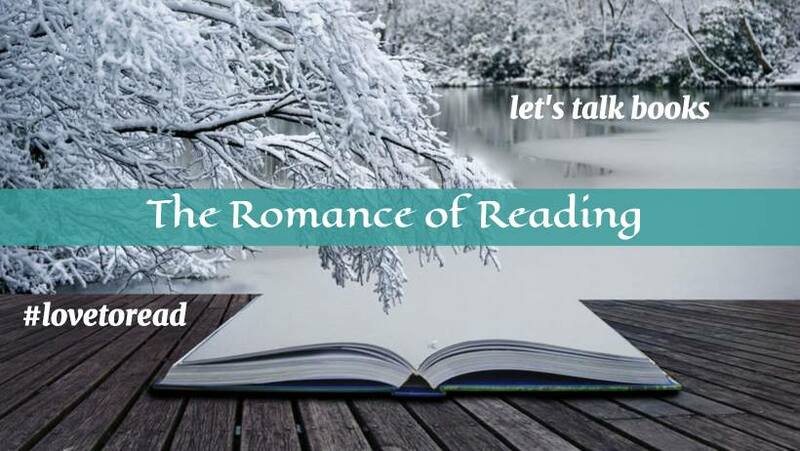 On March 12 I’ll be guest-hosting at the Romance of Reading on Facebook, as part of a wonderful extended party celebrating Women’s History Month. 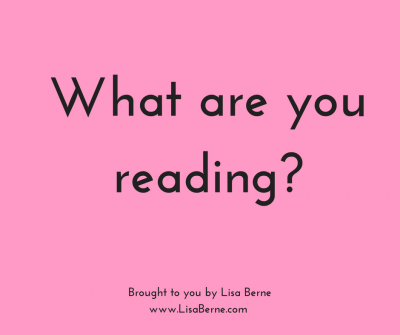 Join me for book chat, giveaways, and more! And oh, my giveaways . . . I’ve got signed copies from some amazing historical-romance authors including Julia Quinn, Cathy Maxwell, and Vivienne Lorret. By the way, the lineup of authors throughout the month is absolutely incredible. It includes such luminaries as Mary Balogh, Lorraine Heath, Sherry Thomas, Joanna Shupe, Nicola Cornick, Eloisa James, Valerie Bowman, Lenora Bell, Jeannie Lin, Ella Quinn, and Susanna Kearsley, to name just a few! Click here for more info, and to join the group. 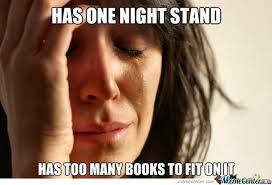 How I feel . . .
. . . at the library. Would you like this in your house? 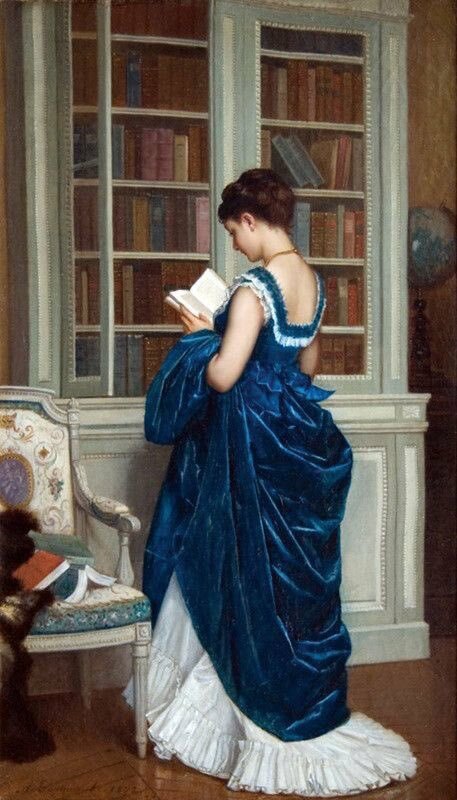 What do you think she’s reading? Very honored to be interviewed for the Kirkus Romance blog! 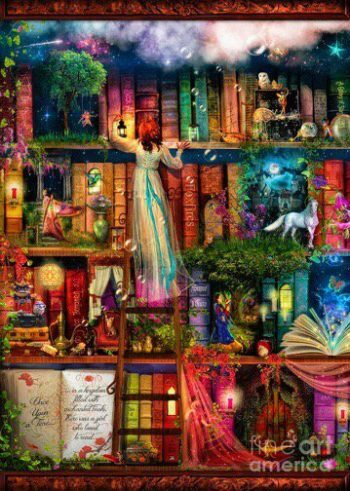 In which I discuss my writing journey, the evolution of You May Kiss the Bride, what I’ve learned from my characters along the way, some of my favorite books of 2017, and more. Click here to read! For more about You May Kiss the Bride and my other books, click here. 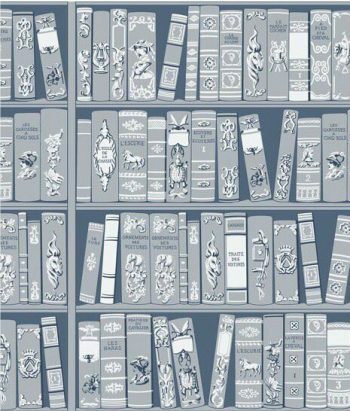 I can’t say I’m a fan of murder mysteries, yet lately I’ve found myself happily engrossed in a great fat volume of Agatha Christie’s Miss Marple stories. 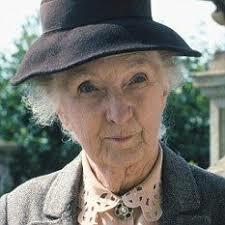 What a wonderful character Jane Marple is! So demure, so self-effacing, yet so coolly brilliant and discerning.